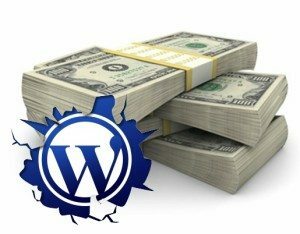 Considering WordPress is OpenSource- ie “Free Code” that powers 25% of the web, there is big money to be made in knowing it inside out. 30 of the 31 sellers who make up the Power Elite wall of fame (selling $1 million+ worth of items) are WordPress product authors. Theme developers have created an ecosystem that’s been putting food on their plates over the last 5 years. Chris Pearson was an early entry into the fray with his “Thesis” theme framework. At one point, he got in a major fight with Matt Mullenweg, the top guy at Automattic, the guardians of everything WordPress- and came out on the south side of the deal. FinalDestiny of TeoThemes, another author whose sales are declining, blames the one-size-fits-all theme products for gobbling up a greater slice of the market share. “Everybody is tired of these huge, monster multipurpose themes having the same price as normal themes, and that’s pretty much killing the marketplaces. But Envato couldn’t care less, as long as they get their share,” he said. The reality is, even if you plop down money on any of these amazing tools, the knowledge to use them properly still isn’t something you can just pick up. That’s why we’ve been teaching our www.websitetology.com seminar since 2005. There is no doubt that the new Google requirements of mobile friendly/responsive and HTTPS are having ripple effects throughout the marketplace, but, the reality is, because these super themes are getting more complex- and don’t switch from theme to theme as easily as WordPress default themes- we think we’re seeing a slowdown thanks to theme lock in. The costs of switching themes has risen, and so we’re seeing less need for new themes. Of course, considering thousands of WordPress websites launch everyday, it’s hard to think that this is the only factor. 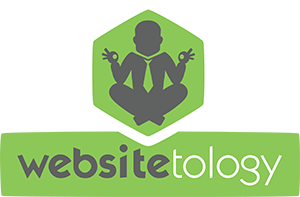 If you need help selecting a theme, or implementing a good website strategy using WordPress, think about taking our seminar, or giving us a call. We’d be happy to help.